Congratulations to Elizabeth Youatt who received a CTSI TL1 Translational Research Training Award through the Penn State Clinical and Translational Science Institute (CTSI). Elizabeth is a first-year student in the developmental psychology program. She is interested in biological mechanisms and physiological correlates of temperament and self-regulation. Particularly, she conducts interdisciplinary and translational work with human infants and children, as well as animal models, examining multisystem biological functioning in behavioral inhibition and it's implications for developmental outcomes and individual health. This training award will provide Elizabeth with funding to examine systemic differences between behaviorally inhibited (BI) and non-BI individuals across species. She will focus on genetic, neurological, and cardiovascular components to investigate a developmentally-oriented model of stress physiology to prepare her for continued translational work. 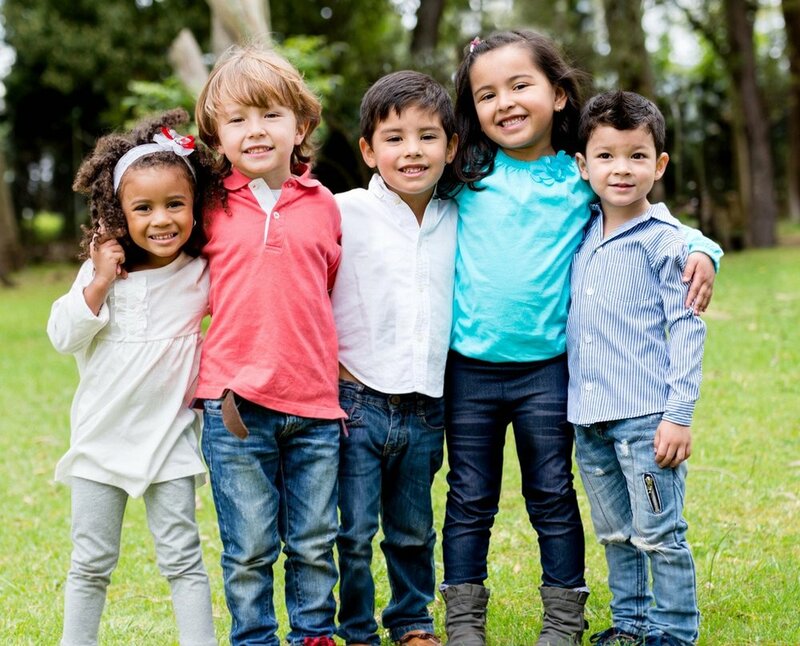 Recent work from CAT Lab researcher Santiago Morales examined the roles of temperament and birth complications in social anxiety symptoms during middle childhood. Children (9 - 12 years) who experienced birth complications exhibited higher levels of both fearful temperament (i.e., behavioral inhibition) and social anxiety symptoms. Additionally, analyses suggested that behavioral inhibition acted as a pathway between birth complications and social anxiety symptoms. This study sets the stage for future longitudinal work examining whether childhood temperament is a developmental path by which birth complications lead to social anxiety symptoms. The full paper can be read in Infant and Child Development. Recent work from CAT Lab researcher Xiaoxue (Jessie) Fu examined how the use of both traditional stationary eye-tracking paradigms and a novel mobile eye-tracking paradigm could elucidate temperament-attention-anxiety relations. Children between the ages of 5 and 7 completed both the dot-probe task while stationary eye-tracking measures were collected and a stranger approach task while mobile eye-tracking measures were collected. Dr. Fu found that affect-biased attention to threat, as measured by the dot-probe task, was related to naturalistic attention to the stranger, only in children exhibiting high levels of behavioral inhibition. The results suggest that behaviorally inhibited children may exhibit more consistent patterns of affect-biased attention and provide evidence that both naturalistic and stationary measures of attention may be integral for understanding individual differences in socio-emotional processing. The full paper can be read in Development and Psychopathology. Congratulations to CAT Lab Researcher Leigha MacNeill who was awarded The Pennsylvania State University 2019 Alumni Association Dissertation Award! Leigha MacNeill is a sixth-year graduate student in developmental psychology. Her dissertation takes a multimethod approach to studying how the family contributes to children's developing attention and whether these processes are dependent on child temperament. As part of the award, Leigha will have her work highlighted at multiple events throughout the Spring 2019 semester. After graduating, Leigha will begin her T32 postdoctoral fellowship with the Carolina Consortium on Human Development at UNC Chapel Hill. Congratulations to CAT Lab researcher Leigha MacNeill who accepted a competitive T32 postdoctoral fellowship with the Carolina Consortium on Human Development at UNC Chapel Hill! Leigha is currently a sixth year student in the developmental psychology program at Penn State, studying how the family environment contributes to children's developing emotion regulation and attentional control. 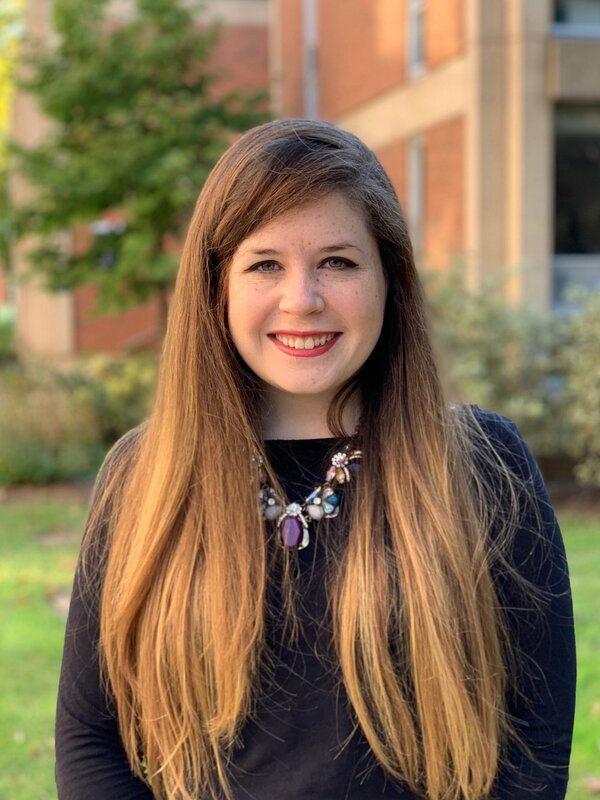 After graduating in August 2019, Leigha will begin her fellowship designed to expand her training in longitudinal analyses and neuroscience methods for examining these processes. She will work with Dr. Cathi Propper and Dr. Dan Bauer to study how poverty during infancy influences the development of self-regulation during early childhood though different family experiences (i.e., caregiver distress and relationships, disrupted parent-child relationships). Additionally, she will examine how changes in children's underlying biology (i.e., brain structure and function) as well as child temperament and maternal executive function influence developing self-regulation. Recent work from Dr. Xiaoxue "Jessie" Fu and Dr. Koraly Pérez-Edgar examines important methodological considerations for conducting developmental work assessing emerging patterns of attention to threat and their relation to socio-emotional functioning. Much of the previous work examining attention to threat and its relation to anxiety has relied on single, stationary eye-tracking paradigms. While this work has provided researchers with valuable information regarding potential relations between attention to threat and anxiety, it is important that as a field we begin to improve upon our current methods to best assess how attention and socio-emotional development my simultaneously unfold. First, we need longitudinal studies that can examine how patterns of attention may change over time, shaping socio-emotional development. Second, studies must integrate multiple measures of attention to best capture the multifaceted nature of attention to threat and its relations to socio-emotional development. Finally, mobile eye-tracking may provide valuable information about how real-world attention impacts socio-emotional development in ways that less naturalistic paradigms, such as stationary eye-tracking tasks, are unable to capture. The full article appears in Developmental Review. Recent work from post-doctoral fellow Dr. Pan Liu and colleagues examined face processing using both fMRI activation data and high density ERP data. By integrating both measures, Dr. Liu showed that early ERP components mapped onto a core visual processing system (occipito-temporal and parietal regions), whereas later components mapped onto a socio-emotional processing system (paracentral, limbic and frontal regions). The current results reveal the spatio-temporal dynamics of face processing in children and suggest that the socio-emotional system processes information transferred by the core visual system. Read the full report in NeuroImage. The NIH recently awarded Dr. Rick Gilmore (Penn State), Dr. Karen Adolph (NYU) and Dr. Catherine Tamis-LeMonda (NYU) a $6.3 million grant to study infant development between 12- and 24-months. The large scale project will recruit 900 mother-infant pairs who will provide an hour of video data in the home environment. Dr. Koraly Pérez-Edgar is a collaborator on the project providing expertise in socio-emotional development and behavior coding. Overall, the project will provide researchers with a wealth of data that will be stored in Databrary, supporting the call in developmental science for big data and open science. Learn more on Penn State News. Welcome to Elizabeth Youatt who joins the lab as a graduate student! Elizabeth is starting her first year in the developmental psychology program at Penn State. She graduated from Washington State University (WSU) in 2016 with a BS in Psychology and minor in Animal Science. After graduating, she worked at WSU as a lab manager and project coordinator on several studies in the WSU Temperament lab, Childhood Cognition Lab, and Biocultural Anthropology lab. Elizabeth is interested in studying temperament and executive function from a biological perspective. Welcome to Dara Tucker who joins the lab as a research assistant on the LANT project! Dara graduated from Tulane University in 2018 with a B.S. in Neuroscience and Psychology. While at Tulane, she worked in the Learning and Brain Development Lab with Dr. Julie Markant, studying the interaction between attention and memory throughout development. Dara's future goals include attending graduate school in psychology. Congratulations to Dr. Evin Aktar, visiting professor in the CAT Lab, for receiving a VENI grant from the Netherlands Organisation for Scientific Research (NWO)! She is among 14% of applicants to receive this award. 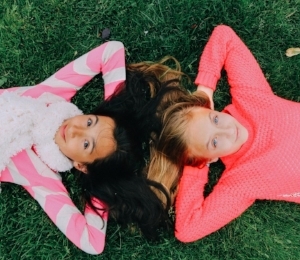 Dr. Aktar's research investigates the transmission of anxiety from parents to children. She uses multi-method designs that incorporate both behavioral and biological markers of anxiety in parents and children. With this new grant, Dr. Aktar will examine if a non-anxious parent may buffer children from fear transmission from an anxious parent to reduce generational transmission of anxiety. Congratulations to Alicia Vallorani who was named a 2018 Strumpf Scholar! The Linda Brodsky Strumpf Liberal Arts Centennial Graduate Endowment recognizes outstanding performance and excellence in graduate studies in areas of research aligned with the mission of the Penn State Child Study Center. The award is designed to promote graduate research productivity and provides selected students with additional support to enhance their research and professional development. As a Strumpf Scholar, Alicia will further her training in methods for longitudinal data analysis as well as methods for neuroimaging data collection, processing and analysis. She will use her training to examine relations between attention and social engagement in infants and adolescents as well as neural processes underlying social engagement in children at risk for social anxiety. Congratulations to CAT Lab graduate student Xiaoxue Fu who has successfully defended her dissertation! Dr. Fu is a graduate student in the developmental program. Her program of research examines how visual attention to the environment relates to social behavior. To investigate her questions, she spearheaded the mobile eye-tracking project, which allowed her to examine how children of different temperaments attend to strangers in the environment. In the fall, Jessie will start a 3-year post-doctoral position with Dr. Eric Nelson at the Research Institute at Nationwide Children's Hospital. Additionally, she will have an appointment as a Clinical Instructor in the Department of Pediatrics at the Ohio State University. Congratulations to Dr. Pérez-Edgar who was among four faculty elevated to named professorships by the College of Liberal Arts at Penn State! Dr. Pérez-Edgar has been a faculty member in the developmental area of the Psychology Department since Fall 2011. Over the past seven years, she has overseen three NIMH funded projects investigating relations between temperament, attention and anxiety from infancy through middle childhood. Additionally, she has mentored 8 graduate students and 3 post-doctoral fellows. She is also an Association for Psychological Science Fellow and a James McKeen Cattell Fund Fellow. Congratulations to Dr. Eran Auday who graduated from Penn State on May 5th! Eran was a graduate student in the Child Clinical program. During his time in the CAT Lab, Eran completed projects assessing how parenting behaviors during childhood and adolescence are associated with individuals’ self-perceptions and social information processing. Additionally, he used neuroimaging techniques to examine structural and functional differences in children at risk for social anxiety disorder. Over the past year, he completed his internship at Wellspan Health. This summer he will start a two-year post-doctoral fellowship at the Geisinger Medical Center in Danville, PA.
Congratulations to Berenice Anaya who received a travel award from the Society of Multivariate Experimental Psychology to attend a Latent Class/Cluster Analysis Mixture Modeling Workshop from Curran-Bauer Analytics at the University of North Carolina, Chapel Hill! Berenice is a second-year student in the developmental program interested in how parenting and temperament influence developmental links between maternal anxiety and infant socio-emotional development. The workshop will provide Berenice with tools to examine if interactions between infant temperament and parenting behaviors can help characterize specific subgroups of infants and if these subgroups may change over time. Recent research from graduate student Eran Auday and collaborators examined neural responses to threat for Behaviorally Inhibited (BI) and Non-Behaviorally Inhibited (BN) children between the ages of 9 and 12. Children were presented with threatening faces subliminally while fMRI data were collected. When BN children viewed the subliminal threat, they exhibited responses in prefrontal brain regions thought to regulate “alarms” triggered by emotion brain regions. Conversely, when BI children viewed the subliminal threat, they exhibited responses in the cerebellum, a brain region linked to the coordination of emotional information processing. The findings suggest that brain-based differences can be seen in children even when minimal information is present. Additionally, the current findings are similar to previous work in anxious teens and young adults, suggesting BI children may exhibit functional neurocircuitry similar to anxious individuals, particularly when viewing threat.